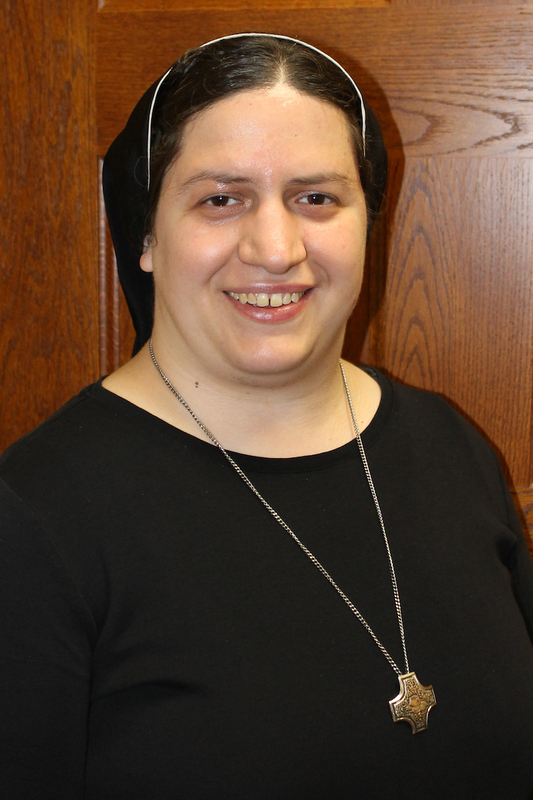 Hello, my name is Sr. Maria Victoria and I am the vocation director for the Benedictine Sisters of Perpetual Adoration. I entered our community in August of 2007. Before I entered I worked at a Day Care and went to night school for Early Childhood Education. I was born in Argentina but moved to Metarie, LA when I was three and that is where I grew up. Have you ever thought just for a split second that God may be calling you to religious life? When I was first considering it, my initial reactions were: "Who me? Are you serious? God, don't you already know I have plans for my future? You must have made a mistake!" After spending some time in prayer, I remembered a friend once told me, "God often writes straight with crooked lines." Ha! Pope Francis says, "We need to pray to know God's will, then pray for the desire to do it, and finally when we have done these things, we pray to follow it. And all this is not easy." Discerning a vocation to religious life can be overwhelming, exciting, and even a frightening adventure of your lifetime! It's okay to experience all these feelings at once. I love this quote by Pope Francis, "If following Jesus seems difficult, don't be afraid, trust him, be confident that he is close to you, he is with you, and he will give you the peace you are looking for and the strength to do as he would have you do." Ask yourself, "Do I trust that God is in the sitrrings and whispers of my heart? What must I do in order to let go to know God's will for me? I discovered our community through Vision magazine by doing the Vocation Match Survey. I would be happy to answer any questions you may have about religious life or questions about our community. You can email me at vocation@benedictinesisters.org or call me at 660-944-2221.